The output voltage of a power supply will usually decrease when a load is applied. This decrease is not good and needs to be minimized. The size of this decrease is measured in comparison to the no-load voltage. The voltage decrease under load compared to the power supply voltage with no load is called the percentage of voltage regulation. Where Enl equals voltage with no load, and Efl equals voltage with full load. A power supply has a no load voltage of 30 volts. This voltage drops to 25 volts when a load is applied. What is its percentage of regulation? To complete the basic power supply circuit, a load resistor is connected across the supply, Figure 1. This resistor serves three important purposes. Figure 1. 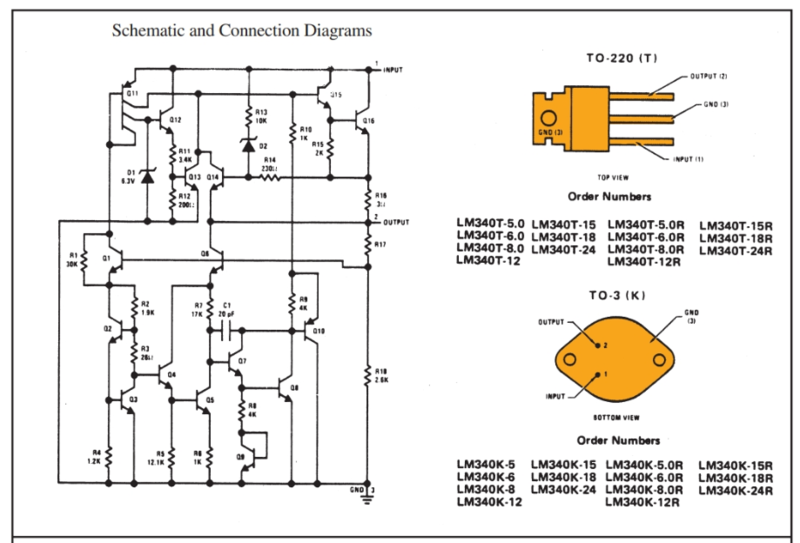 Complete power supply circuit with the load resistor. First, the load resistor serves as a bleeder. A bleeder allows charged capacitors to drain. During operation of a power supply, peak voltages are stored in the capacitors of the filter sections. These capacitors remain charged after the equipment is turned off. These capacitors can be dangerous if accidentally touched by a technician. The load resistor allows these capacitors to discharge when not in use. The wise technician will always take an added precaution and short capacitors to the ground with an insulated screwdriver. Second, the load resistor improves regulation. The load resistor acts as a preload on the power supply. It causes a voltage drop. When equipment is attached to the supply, the added drop is fairly small and the regulation is improved. The usable voltage of the supply has only varied four percent. A further advantage of preloading the supply is an increase in the choke filtering action. The resistor allows current to flow in the supply at all times. A choke has better filtering action under this current condition than when current varies between a low value and zero. Third, the load resistor acts as a voltage divider. The load resistor provides a way of obtaining several voltages from the supply. 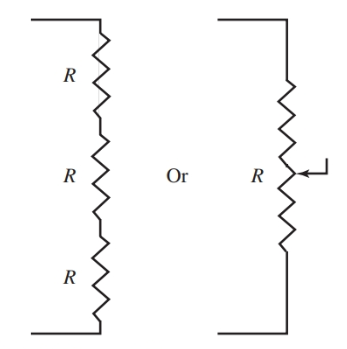 Replacing the single-load resistor with separate resistors in series provides several fixed dc voltages, Figure 2. A sliding tap resistor can also be used to provide voltage adjustments. Figure 2. Voltage divider across power supply output. This circuit is called a voltage divider. It takes advantage of Ohm’s law (the voltage drop across a resistor equals current times resistance, or E = I × R). In Figure 2, the and, therefore, changes the voltage at that tap. Figure 3. 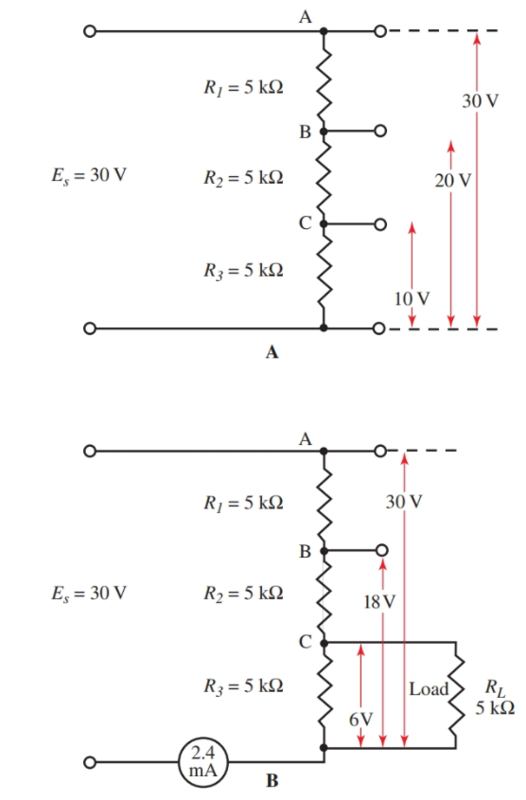 Diagrams show a change in resistance in a voltage divider when a load is attached. The total resistance across the power supply with RL connected is 5000 Ω + 5000 Ω + 2500 Ω = 12,500 Ω. Now the current through the divider can be calculated. The voltage at point B is 18 volts. If another load were connected to point B, a further change of voltage division would result. Some method for providing a constant voltage output at the power supply under varying load conditions is needed. This method would take into consideration the fact that a voltage drop across a resistor is equal to the product of current and resistance. 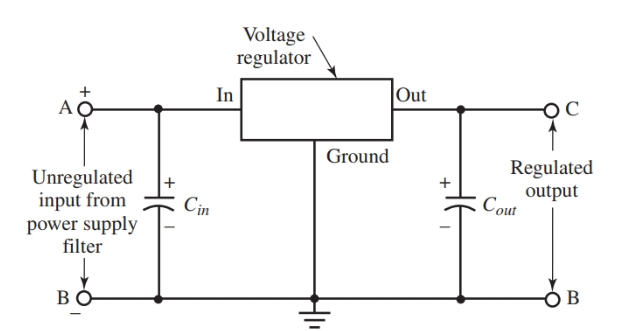 This method comes in the form of a circuit called a voltage regulator. It is shown in Figures 4 and 5. The total input of the power supply filter is applied to terminals A and B. Regulated output is across points C and B.
Voltage Regulators come in a number of common transistor package designs (TO-3, TO-39, TO-202, TO-220, etc.). These solid-state regulators are basically blowout proof. They require that a heat sink is used to remove excess heat from the device. The internal circuits used for these voltage regulators are quite complex. They have a number of transistors, diodes, Zener diodes, and resistors built into one small package. 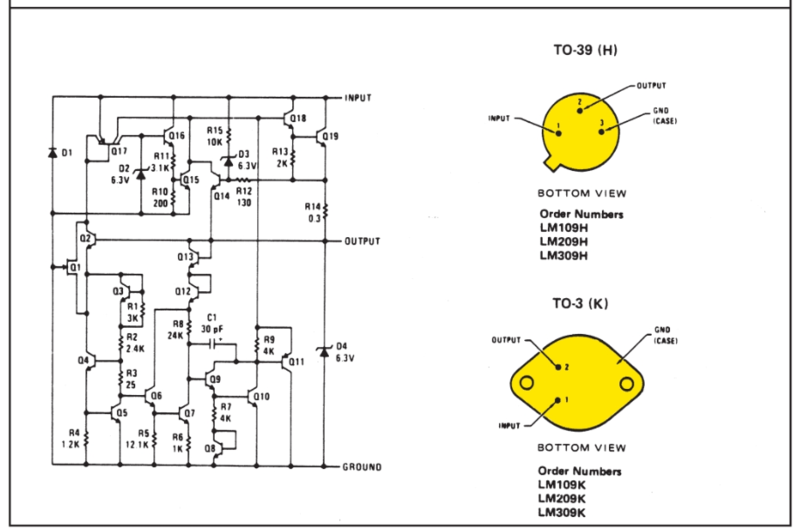 Figure 5 shows two voltage regulator schematics and their package designs. An example of a use for a voltage regulator can be seen in an automobile. An automobile’s voltage regulator controls the voltage level from the alternator.